Unless corporate leaders take charge of their fate, government will become more and more a master. 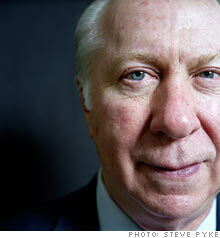 David Gergen is a professor of public service at Harvard's Kennedy School and a CNN senior political analyst. (Fortune Magazine) -- Early on in our economic crisis, there was a palpable sense that people just wanted to get back to "normal"; now the realization is sinking in that we are not returning there. That is desirable in some ways: Who wants to restore a world of excess leverage, reckless risk taking, and indulgent lifestyles? But for most Americans it will be hard to accept that old jobs aren't coming back, that it could be years before they have rebuilt their savings, and that their country and their currency will probably play a diminished role in the global arena. If the recovery is joyless, corporate America will face a massive leadership challenge. The argument that blame for this mess spreads from New York to Washington, Wall Street to Main Street, is no longer working well. With Republicans in disarray, Democrats in Congress, along with the press - occasionally with help from the White House - have successfully pinned the blame almost solely upon corporate greed and stupidity. Frankly acknowledge their role in this mess. Bill George, former CEO of Medtronic and a bestselling author, wrote in the Wall Street Journal, "The current crisis was not caused by subprime mortgages, credit default swaps, or failed economic policies. The root cause is failed leadership." Until AIG CEOs Hank Greenberg and Martin Sullivan as well as others accept their responsibility, George argues, the country will be in no mood to forgive and forget. Get back to fundamentals. For those who had tickets, the past few years have been a grand party, but as business scholar Warren Bennis believes, they have left behind wreckage reminiscent of The Great Gatsby. Americans are now longing for leaders who are reliable - in word, product, and balance sheet. They are tired of companies playing short-term, quarterly games at the expense of long-term achievement. They want pay tied to performance. They see little difference between highfalutin derivatives and highfliers like Bernie Madoff. And most of all, they want employers who truly care about them and their families. Work for, not against, social reforms. Corporate leaders can and should fight for legitimate core interests, but they have resisted too long almost every effort to overhaul broken systems. Fortunately we are now seeing encouraging signs of change, with companies like Pfizer (PFE, Fortune 500) working constructively for health-care reform and Duke Energy (DUK, Fortune 500), along with GE (GE, Fortune 500), working to address global warming. More CEOs need to sign up as reformers. Embrace the concept of corporate management becoming a true profession. Two professors at the Harvard Business School, Rakesh Khurana and Nitin Nohria, are advancing an idea envisioned in the early days of industrial growth - that management should become a true profession like law or medicine, with a code of conduct, commitment to social responsibility, and professional boards of enforcement. Their efforts represent the beginnings of what must become a longer, deeper conversation about a new social compact between corporations and society. Our worst business leaders did indeed play a role in creating this mess. Now it is apparent that our best business leaders - and there are many out there - must step up and forge a path forward.